Maria Sharapova had emerged victorious at French Open in the years 2012 and 2014, but is now set to miss it for the second year in a row. Sensational Tennis player and two-time champion Maria Sharapova is set to miss the French Open in 2017 as the organizers decided to not grant her a wildcard entry into the tournament. Sharapova, 30, recently returned from a 15-month doping ban after admitting she had used the banned hormone and metabolic modulator meldonium. She had emerged victorious at Roland Garros in the years 2012 and 2014, but is now set to miss it for the second year in a row. "Nobody can deprive her of her two titles at RolandGarros, but today I can't grant her the wild card requested,"Guidicelli said on Facebook Live. "The titles won here, she won within the rules withoutowing anything to anyone. "While wild cards exist for players returning frominjury, there is nothing for a return from a doping ban," he added. The five-time Grand Slam champion returned to competition at the Stuttgart Open, reaching the semi-finals, and progressed to the last 32 of the Madrid Open, too late to earn herself a qualifying spot for Paris. "I am very sorry for Maria, and very sorry for her fans. They might be very disappointed and she might be disappointed. But it is my responsibility and my mission to respect the high standards of the game to be played without any doping," said Guidicelli. The federation chief had hinted Sharapova would not be welcome after agreeing with comments made by Andy Murray inMarch, in which the Briton claimed that she should have to work her way back to the top. "Integrity is one of our main commitments. We can't decide to increase funds in the fight against doping and then...(invite her)," Guidicelli said at the time. "I know the media dimension of Maria and I'm measuring the expectations of the public and sponsors, but in all conscience it didn't appear possible to me to go beyond strict application of the world anti-doping code," he explained onTuesday. "The code doesn't have rules regarding wild cards. These invitations are given at the discretion of theorganisers." French Open tournament director Guy Forget had earliersaid the decision over whether Sharapova would receive a wildcard was going to be "very controversial". "Some say she shouldn't get it, others say she servedher time," tournament director Guy Forget told the BBC. "As you talk with players, it's very controversial. So no matter what happens, there will be a lot of questions around that wildcard." Sharapova's absence leaves the women's French Open field wide open with Serena Williams, a three-time champion inParis, sitting out the rest of the season as she prepares to give birth to her first child. Sharapova is though guaranteed a qualifying spot at Wimbledon in June after winning her opening match in Rome, and she could earn a slot in the main draw if she reaches thesemi-finals of the event she has won three times. 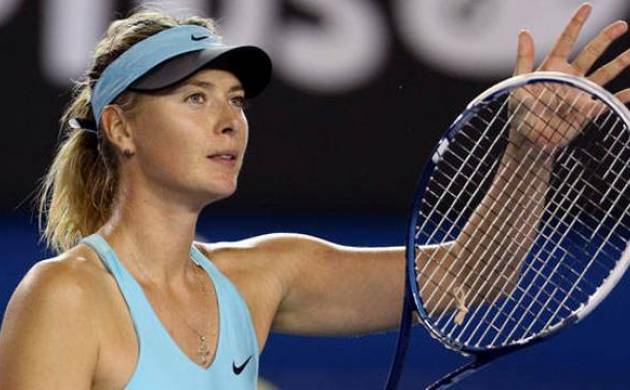 Post 15-month doping ban, Maria Sharapova is back with a bang!